Glamorous supermodels attend Leonardo DiCaprio's star-studded dinner | HELLO! The A-list actor, who is known for mixing with some of the world's top catwalk queens, pulled quite the photogenic crowd as he put on his swanky charity bash at a St Tropez vineyard. Leading the glamorous arrivals was Doutzen Kroes, who wore a beautiful, slinky gold gown featured a wrap detail that showed off her long legs. Also in attendance was Victoria's Secret angel Lily Donaldson, who wore a black sheer dress and ramped up the glamour with a deep red lip. Joan Smalls showed off her supermodel physique in a purple cutaway gown. The star took to Instagram to share a snap of herself posing with the other models, including Anja Rubik and Constance Jablonski. "Too much beauty in one picture. Not only on the outside but the inside," she captioned the shot. Doutzen's husband Sunnery James also shared a picture of the models posing with their other halves. "Squaaaad @leonardodicaprio foundation!" he wrote. 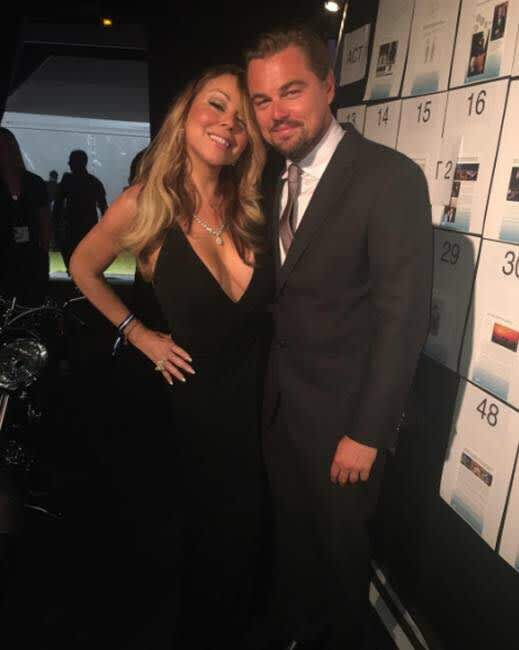 Mariah Carey attended the dinner, and she posed up for a picture with Leonardo, delighting fans by sharing the snap on Instagram and congratulating him on 'a great job'. Inside the dinner was a painting of Leonardo by artist Damien Hirst, which was a donation to the foundation. Superstar songstress Lana Del Rey provided the entertainment, lending her vocals to the star-studded evening. The auction is featuring lots donated by the likes of Arnold Schwarzenegger, Bono, Martin Scorsese and even the chance of being Harvey Weinstein's personal guest to every major society event for a year.